The Elite® 3200 offers multi-coated optics for generous light transmission and crisp image quality. Our exclusive, patented Rainguard® lens coating reduces large drops of water to near-microscopic specks, dramatically increasing light transmission and resulting in a remarkably clear image in wet weather. 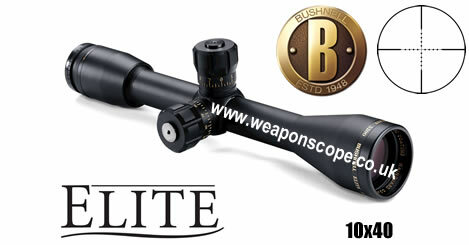 The Elite 3200 riflescopes feature a rugged, one-piece aluminum tube. 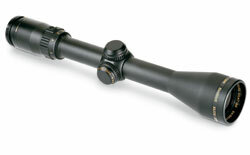 And, like the 4200, this scope is tested to rigorous standards  recoil tested to 1,000 rounds of a .375 H&H magnum. The 3200 offers everything the avid hunter requires. Rainguard®  Multi-coated optics  Magnum recoil-proof construction  One-piece hammer-forged tube  100% waterproof/fogproof /shockproof construction  Dry-nitrogen filled  1/4 M.O.A. or finer fingertip, audible/resettable windage and elevation adjustment  Elite® Bullet-Proof Warranty. Offers multi-coated optics for generous light transmission and crisp image quality. Our exclusive, patented RainGuard® HD lens coating reduces large drops of water to near-microscopic specks, dramatically increasing light transmission and resulting in a remarkably clear image in wet weather.